St. Rita of Cascia is a powerhouse of a Saint. I really can’t fully describe the raw power of this Patron Saint of Infertility and Hopeless Cases. In all my years praying with the saints, I’ve never felt anything quite like my experience praying with her. My journey with St. Rita started when I was trying for my second miracle. I had started to develop a comprehensive list of Saints of Fertility & Infertility and I came across her in my research. I soon learned that the National Shrine (U.S.) for St. Rita was in Philadelphia and made plans to visit it. In the months before my visit I started praying to her regularly. 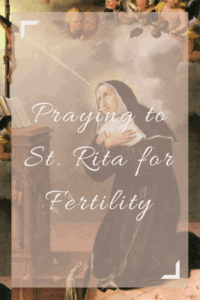 I’m going to talk briefly about St. Rita’s life, my experience praying with her, how to celebrate her, and then I will end with prayers to St. Rita, including my own original prayer to her to heal infertility and conceive a miracle child. Her feast day is May 22nd. St. Rita was born in 1381 in Italy and wanted to be a nun. Instead she was married to a violent man who was basically part of a mobster family. 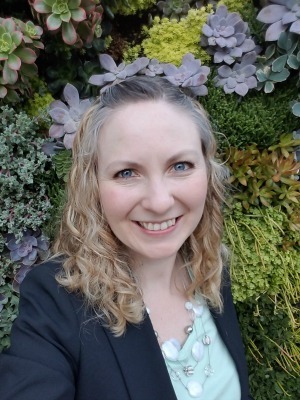 The story of her life goes that after 18 miserable years with her husband, her sweetness, faith, and goodness finally converted him and apologized to her and to God. Unfortunately, just after his confession and conversion he was murdered by the competing mobster family in the area. Of course Rita was forgiving, but her two sons pledged to avenge their father’s death by finding and murdering his murderers. Rita feared for her son’s mortal souls and prayed that ANYTHING, including DEATH happen, to stop them from becoming murderers. Indeed, they both became ill and died. The story says she convinced them to forgive before they died. Rita headed straight to the convent. But the nuns said, “No way! You aren’t bringing that mobster family craziness here!” So Rita was determined to make peace between the families and then she would be allowed to enter the convent. She prayed, and prayed, and prayed. Here is where the stories of her life diverge. In one version she convinces both families to forgive and make peace. They are astounded by her love and kindness, and agree, signing a written peace agreement. Another version suggests that she prayed, and prayed, and prayed, and the bubonic plague came to town and killed all the angry violent men in charge of both families. The ones who were left agreed to peace. St. Rita was welcome to the convent where she lived a long and pious life. She prayed for hours in front of the crucified Christ, and received a wound from the crown of thorns on her forehead. The sore never healed. One story says that when she was sick and dying she asked for a rose from the garden of her family home in the middle of the winter. Her relative actually found one (in January!) and brought it to her. You might want to bring her a rose when you visit her shrine! Finally, after St. Rita died her burial was delayed so that people could view her. And an amazing thing happened- she became one of the “incorrupt” saints. This means that her body did not decay. In fact you can STILL VISIT HER BODY TODAY in Cascia, Italy! 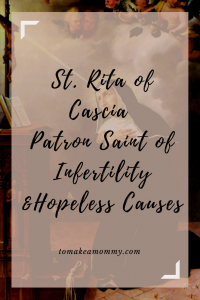 Because of the many seemingly impossible situations she faced and because of the many miracles she has intervened in since her death, St. Rita is known as the Patron Saint of Infertility and Hopeless Causes. I read St. Rita’s story when trying to conceive my second miracle and was moved by it. I started praying to her for intercession in addition to St. Anne, St. Gianna Beretta Molla, St. Gerard, and my name saint, St. Therese de Lisieux. I was specifically praying for healing from infertility, to conceive a second miracle naturally, and for it to be a girl. I believe prayers are more easily heard the more concrete they are. 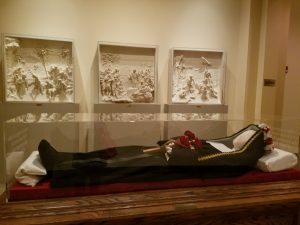 I planned a trip for late May 2017 to visit the St. Rita Shrine in Philadelphia, and the St. Gianna shrine in Warminster, Pennsylvania (about 30 minutes north of Philadelphia). 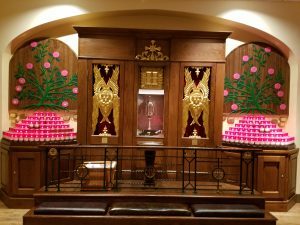 My husband and son were with me and we arrived at the St. Rita Shrine on Memorial Day- and it was closed! I hadn’t called ahead and I was devastated. Not only had I missed it but I had dragged by husband and toddler son into Philadelphia on a holiday weekend! Luckily, my husband had the same idea, and we scooted on back down to Philadelphia. My toddler started napping at just the right time so I was able to visit the shrine without worrying. Inside the Shrine (which is in the basement of the church) there is a gorgeous room with statues to many Saints. I took my time there and prayed with many of them. Then I knelt before St. Rita’s relics. Now, ladies, normally when I pray, even with a Saint, I start off with a long ramble. First I pray to God for forgiveness from my sins. Then I talk about how thankful I am for all the gifts in my life. Then I start to actually get into the meat of what I am asking for. With St. Rita, I didn’t get the chance. I started to pray, “St. Rita,” and I felt I was immediately interrupted by her. I felt like I heard her say, “You’re already healed. Your baby is on her way.” I was shocked. I took a moment and tried again, “Oh, St. Rita, I . . .” and again I was interrupted. 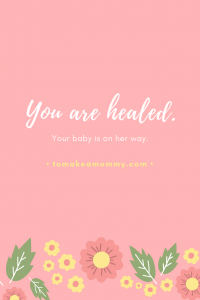 “You are healed. Your baby is on her way. You can go now.” I was unable to pray. I cried instead. And, miraculously, she was right. That was the very end of May 2017. At the beginning of July 2017 I had my first ever normal FSH reading. And later in July I conceived my second successful natural miracle- a little girl that I am 39 weeks pregnant with. Now, don’t get me wrong- I know it was through the intercession of St. Rita to GOD THE FATHER that my miracle occured. 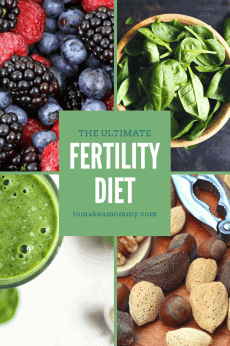 AND I know that part of my miracle is God and the Saints showing me how to live a healthy, fertile life, including all the non-toxic efforts we make, the fierce adherence to a strict fertility diet and lifestyle, and daily mind-body work. And, I am thankful every day for this. 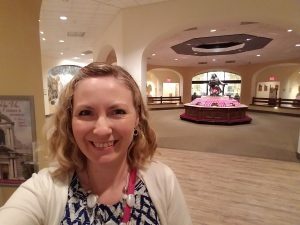 Happy, at the St. Rita Shrine! Say a novena to her. This means you say the same prayer for 9 days. Her traditional novena is copied below! To make it extra special, start it on May 14th, nine days before her Feast Day so you end your last day of the novena on May 22nd. Go to mass on her Feast Day on May 22nd, and offer the celebration up for her intercession. Visit one of her shrines- I know of the one in Philadelphia and the one in Cascia, Italy. If you go on her feast day, you can participate in the celebrations. On her feast day (or any day) gather with a group to pray a litany to her. Wear her medal to remind you to pray to her daily. Display her saint card somewhere you can see it on a daily basis. Read more about her online, or in a book like this one. Saint Rita, you are my advocate and my protectress. Saint Rita, you are beloved by the Lord and given special graces from heaven. Saint Rita, you help those who are in need. 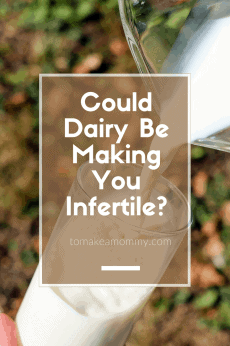 Hear my desire now to be healed of infertility. Intercede on my behalf to the Lord that I may be blessed with perfect and miraculous fertility. 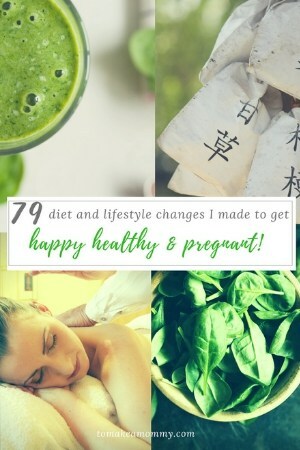 Know my deep desire to conceive and birth a healthy child who will live a long, happy, and healthy life. Advocate for me, that heaven might hear and grant my desire to lovingly welcome a miracle child into my family. As I wait for this intercession, help me to be patient in my suffering as you were. Help me to be consumed with Divine Love as you were. Help me to persevere in prayer as you did. Through your intercession, and the love of Jesus Christ, I pray. O glorious St. Rita, your pleadings before the divine crucifix have been known to grant favors that many would call the impossible. Lovely St. Rita, so humble, so pure, so devoted in your love for thy crucified Jesus, speak on my behalf for my petition which seems so impossible from my humbled position. (Here mention your request ). Be propitious, O glorious St. Rita, to my petition, showing thy power with God on behalf of thy supplicant. Be lavish to me, as thou has been in so many wonderful cases for the greater glory of God. I promise, dear St. Rita, if my petition is granted, to glorify thee, by making known thy favor, to bless and sing thy praises forever. Relying then upon thy merits and power before the Sacred Heart of Jesus I pray. Amen. I give you thanks, O Lord, for the many benefits you have bestowed on us. With confidence in your mercy I beg you now, through the intercession of Saint Rita, to grant me the grace of imitating her virtues, especially her love for you and her neighbor, her perfect acceptance of your will, and her devotion to the passion of your Son. Through the infinite merits of Jesus and those of Saint Rite, grant me comfort in my present trials, and the desire to accept with gratitude whatever may be for my salvation and the salvation of those who are dear to me. Oh, good Satin Rita, who gives constant proof of the power of your prayers, show me some sign that my prayers will be answered. Pray to God for me as I humbly pray to you. Amen. O Holy Patroness of those in need, St. Rita, whose pleadings before thy Divine Lord are almost irresistible, who for thy lavishness in granting favors hast been called the advocate of the hopeless and even of the impossible; St. Rita so humble, so pure, so mortified, so patient and of such compassionate love for thy Crucified Jesus that thou couldst obtain from him whatsoever thou askest, on account of which all confidently have recourse to thee, expecting, if not always relief, at least comfort; be propitious to our petition, showing thy power with God on behalf of the suppliant; be lavish to us as thou hast been in so many wonderful cases, or the greater glory of God, for the spreading of thine own devotion, and for the consolation of those who trust in thee. Pray for us, O holy St. Rita, that we may be made worthy of the promises of Christ. How do you celebrate a saints feast day? I want to honor St Rita on the 22nd but don’t even know where to start. Hi Kate!! Good question! 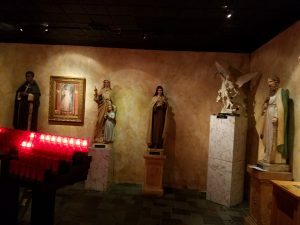 I updated the post with some ideas, that include saying a novena, going to mass, praying to her, and learning more about her! Baby dust!! Thanks for reminding me about the power of praying to St. RITA to interceed on my behalf. 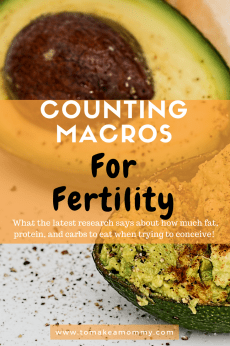 Doctors have told me it is not possible; extremely low egg count; high FSH and adenomyosis. But I believe in the power of miracles. 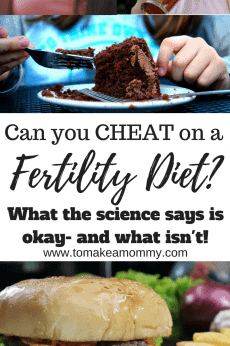 I am going to have an IVF and I’m taking estradiol to normalise my cycle. Praging and believing in baby dust. Blowing tge same to all you beautiful ladies out there! Hi Anna! My husband and I are making a trip to Philadelphia this week (we leave tomorrow) and we are planning on going to both shrines. Anything I should know ahead of time (as in should I call them or something). So excited for this trip and really hope both saints will hear our intercessions. 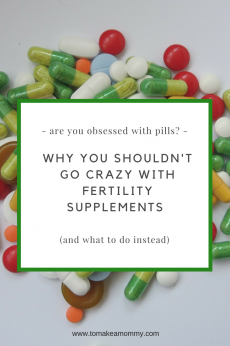 At only 28, I have been fully diagnosed in menopause, put on birth control to prevent it and given a 0% chance of naturally conception. We conceived our baby boy through donor egg IVF in October and we miscarried at 10 weeks the first week of December. We are devastated and terrified that this may never happen for us. We plan to do another round of donor egg IVF but this time with my sisters eggs in the upcoming summer. We want to pray to these saints that this time it will work and we can have our family.